Olive oil has been a part of civilization since the dawn of time. Olive trees have been cultivated around the Mediterranean since the eighth millennium BCE; historically, Spain is the largest producer of olive oil, followed by Italy and Greece. However, olive oil consumption in North America is rising steadily thanks to a boom in interest in healthier living and a desire to use Extra Virgin Olive Oil, or EVOO, for everything from cooking to skin care. Although the Mediterranean regions have been the primary producers of EVOO, accounting for 98 percent of world output, one Lodi-based, family-owned and operated business is determined to secure its portion of market share. Coldani Olive Ranch is literally a family business, and the label extends beyond the welcoming feel visitors get when they visit the sprawling estate and farm. The Coldani family, all four generations, including their spouses and children, are the heartbeat and driving force of Calivirgin Olive Oil Company. As a team, the family, along with a few employees, shares the workload and handles every aspect of the process from tree to bottle. All tasks, from growing the olives, processing them into oil, bottling, package design, marketing, sales, participating in tasting events and shipping, are split up and shared by the team. At center stage is Jeanne Coldani, fondly known as the matriarch of the family. 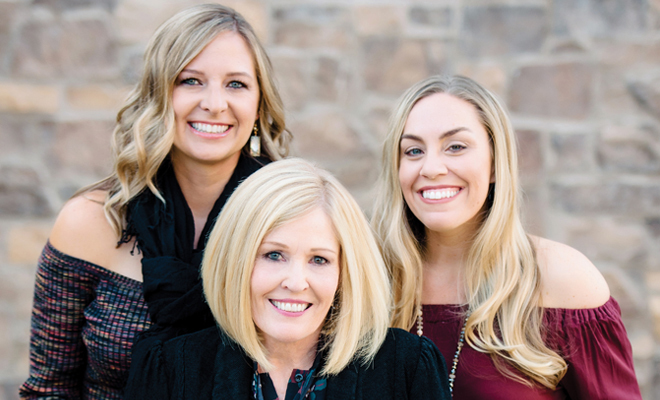 Working alongside her in the business’ efforts to make Calivirgin Olive Oil a household name are her daughter, Gina Coldani Sans, and daughter-in-law, Julie Coldani. Gina handles tasks such as sales and the design of marketing materials. Julie also works in sales and acts as the business’ director of public relations; Jeanne affirmed that she “does a little bit of everything.” All three women work together on the process of shipping their oils across the U.S. and hosting gatherings at the Coldani Olive Ranch’s tasting room. After years of perfecting their crop, process and brand, the Coldanis produced their first bottle of Calivirgin oil in 2007. The brand’s humble beginnings included working day jobs and bottling oil at night to fill orders. Soon the demand became so great they needed to jump in with both feet; in 2012, they gave 100 percent of their attention to their business. Fast-forwarding five more years, the family’s hard work has resulted in popular flavors of olive oils including perennial favorites such as Premium Extra Virgin Olive Oil, Guilty Garlic Olive Oil and Bountiful Basil Olive Oil along with new varieties such as Habanero, White Truffle and Blood Orange Olive Oil. The Coldani women shared that their flagship and first product, Calivirgin Premium Extra Virgin Olive Oil, is estate grown. The family has agreed to not use pesticides, and their unwavering mission to organically and sustainably produce a quality product has paid off. Their olive oils have consistently medaled in all of the national competitions, with 352 awards to date. These accomplishments have also given the Coldani family the distinction of being one of the most awarded companies in the nation. As the Coldani family business keeps growing and evolving, so does the discussion about its future and how the company can continue to give back to the community they love. Calivirgin’s business plan includes exciting advancements such as incorporating a little wine into their product line and building a larger tasting room. “We hope to build a tasting and educational center through which families can see the process of making what has been called the healthiest food in the market,” Gina noted.